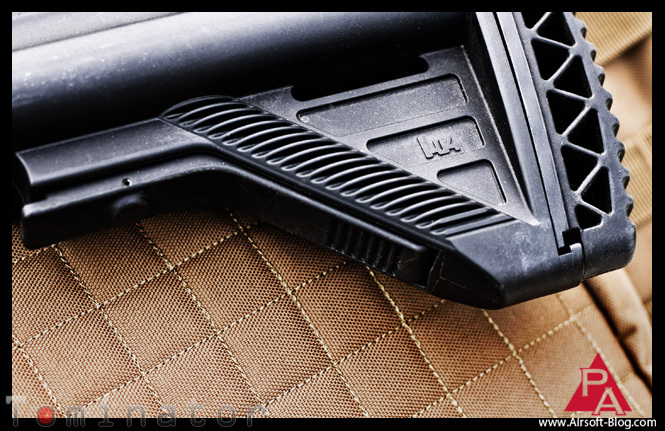 Ok, so today I thought I would share some more Elite Force HK417 photos with you and also provide you with a few facts about the real steel version which I think/hope (mostly hope) you may find interesting. 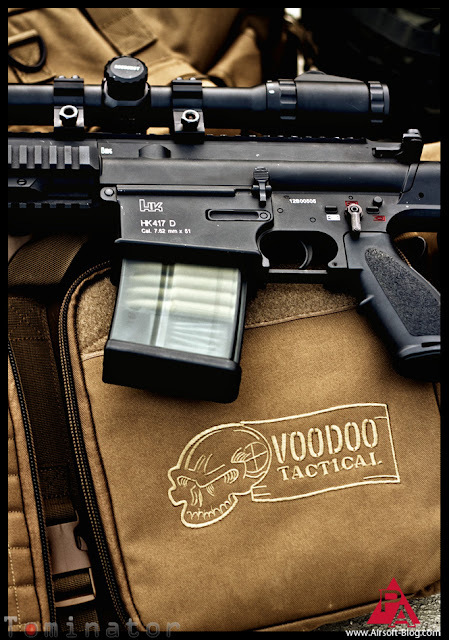 The HK417 has been dubbed the "Big Brother" to the well-known HK416. While the Airsoft version remains the same as its little brother, the real HK417 is chambered in 7.62x51mm NATO caliber, where as the HK416 is chamber for the smaller, 5.56x45mm NATO round. 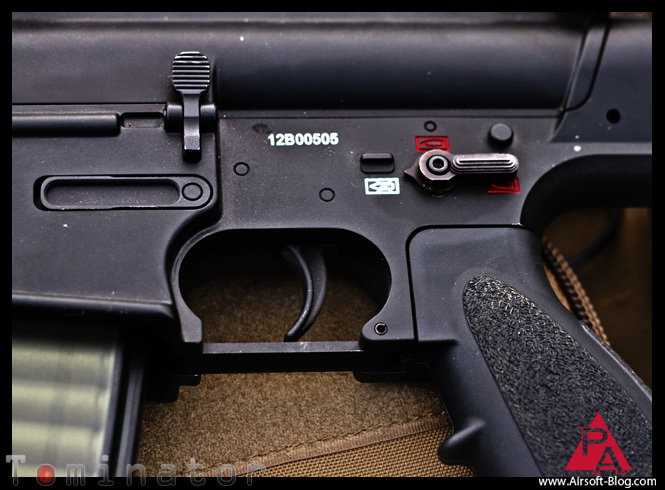 Speaking of the HK416, in doing a little light research on the HK417, I discovered that former Delta Force operator, Larry Vickers played a key role in collaborating with Heckler & Koch on the development of the HK417's little brother (the HK416) back in the early 1990s, and indirectly, the HK417 itself. 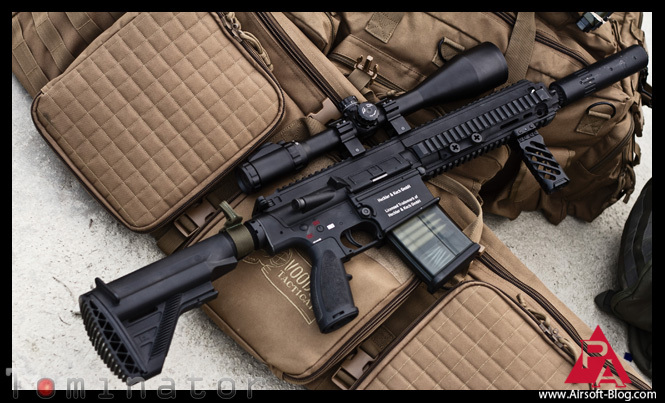 The HK417 is a battle rifle, intended for use as a designated marksman rifle, or DMR. 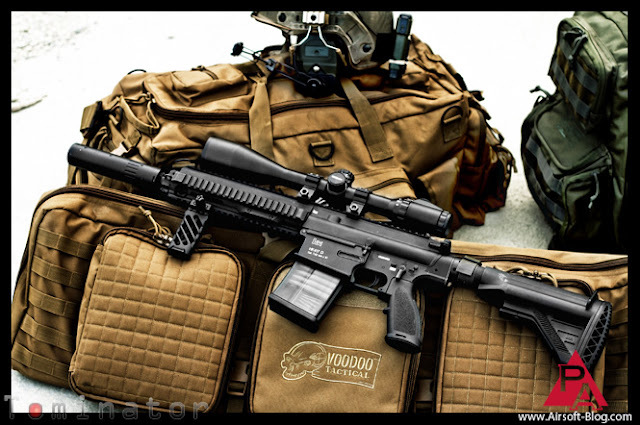 It has greater accuracy, effective range and penetration then the HK416. 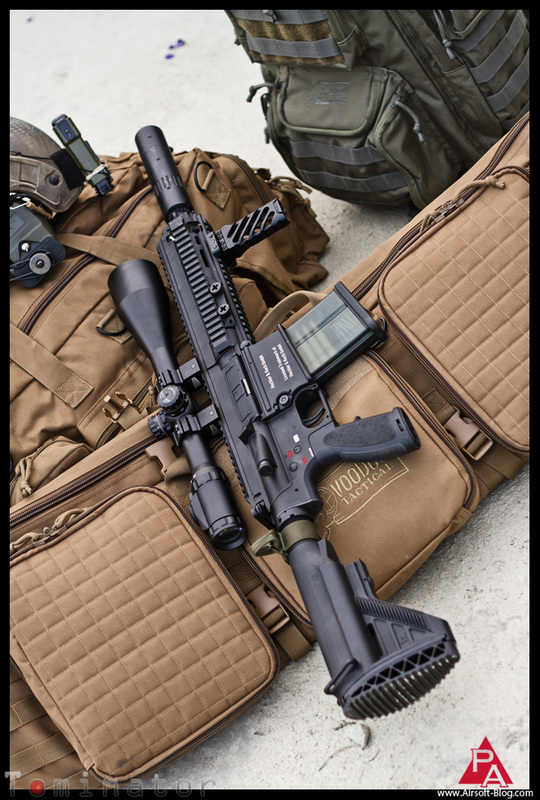 While I haven't read or heard anything about U.S. forces employing the HK417, it is reported that among a number of other countries, the British Army's elite Special Air Service regiment ("SAS"). I can tell you that it shoots like a dream and looks like one, too. 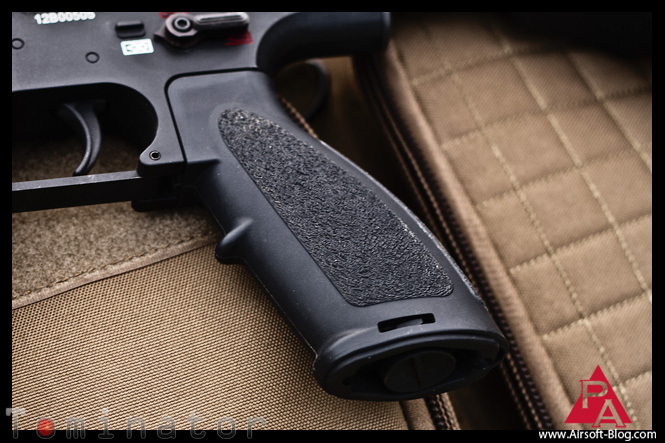 As this is a very special member of my personal collection of Airsoft guns, I shall be giving it the red carpet Tominator tuning treatment in due time. I need to source out some internal parts and then the fun shall begin. I'll let you know when it's show time. While you're waiting, perhaps you might do me a super solid and head over to PopularAirsoft.com and nominate me for Best Airsoft Blog in the Players' Choice Awards whether you think I deserve it or not.